Five hundred and two different testimonies of coseismic environmental effects of the 1908 Southern Calabria-Messina earthquake have been identified and catalogued, based on a careful screening of contemporary documents, i.e. technical and photographic reports, newspapers and other archive material. 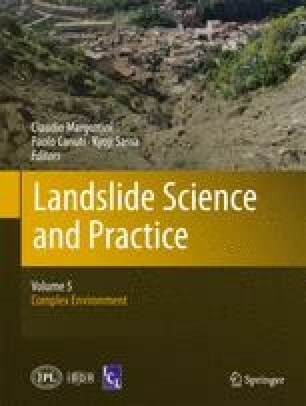 Out of the 348 independent occurrences, landslides are the most represented category with 150 cases (43 % of the whole set of effects). The area, which is prone to slope instability even without seismic triggering, due to its lithological characters and rugged topography, undergoes now a much higher seismic risk because of the unconcerned strong urban development of recent decades. So, the obtained scenario of landslides distribution triggered by the 1908 earthquake helps to evaluate the impact on this region of a 1908-like future event.